A comprehensive overview of the Indigenous populations of North America from 100,000 years ago until the present in just over 100 pages is an ambitious undertaking. Happily, this one is surprisingly successful. 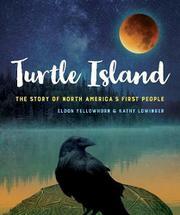 A collaboration between Yellowhorn, a Piikani professor of First Nations Studies, and Lowinger, a white children’s author, the text engages readers through a variety of means: stories from different nations, straightforward scientific and historical information, and sections labeled “imagine,” portraying slices of life in various times and places. From captivating origin tales to mind-boggling advances in archaeological technology, there is a little something here for everyone, with stock images that complement the text. It is a pity that the final chapter on modern times was not fleshed out more, leaving out much Native political and environmental activism from the 1960s to the present day as well as continuing struggles over demeaning sports team names and mascots. The list of notable people skews heavily toward men (where are Maria Tallchief and Louise Erdrich?). Oddly, this chapter also consistently refers to Indigenous people as “they” rather than “we,” depriving young Native readers of a more intimate reading experience.